Tatjana Masurenko, born in Russia, received her early training at the Special Music School and the State Conservatory in St.Petersburg. While still a student she was playing concerts with the leading orchestras of Russia. In 1991 she moved to Germany to continue her studies with Kim Kashkashian and Nobuko Imai at the Hochschule für Musik in Detmold. Her many encounters with Boris Pergamenschikow, Paul Badura-Skoda and György Kurtag had a lasting influence on her artistic development. She has won prizes and awards at numerous international competitions, for example, the “Lionel Tertis” International Viola Competition in England, the Markneukirchen International Viola Competition in Germany and the “Yuri Bashmet” International Viola Competition in Moscow, that was to seal her position amongst leading Violists. She has been a guest soloist with many orchestras in Europe, USA, Asia and Russia, like the NDR Radio-Philharmonie, the Gewandhausorchester Leipzig, the Rundfunk-Sinfonieorchester Berlin, the St.Petersburg Philharmonics, the Hongkong Symphony Orchestra and the Thomanerchor Leipzig, collaborating with Boris Pergamenschikow, Christian Tetzlaff, Lars Vogt, Isabelle van Keulen, Jan Vogler and the Vogler-Quartet. During that she also worked with conductors like Marek Janowski, Eiji Oue, Herbert Blomstedt ,Georg Christoph Biller and Peter Oundjan. Since 1996 only the artist has been guest of many important festivals such as Marlboro Music Festival (USA), as well as festivals in the United Kingdom (Prussia Cove and Hindemith Festival London), West Cork Festival (Ireland), Delft Chamber Music Festival (Netherlands), “Spannungen” Festival, Schloss Moritzburg and ECMA in Cologne (Germany), “Schubertiaden” in St.Petersburg (Russia) and made her debut on West German Radio (WDR), North German Radio (NDR), Deutschland Radio Berlin, in Wigmore Hall (London), in Small Hall of the Berlin Philharmonie. Besides all these concert tours Tatjana Masurenko is Professor for Viola at the oldest German Hochschule für Musik “F. Mendelssohn-Bartholdy” in Leipzig and conducts as well several master classes in Germany, USA, Turkey and Russia. Betil Başeğmezler was born in Istanbul. After studying the viola with Jules Higny graduated from the Ankara State Conservatory and joined the Presidential Symphony Orchestra in Ankara. With a state scholarship, she entered the Royal Collage of Music in London and studied with Frederick Riddle for four years and received A.R.C.M. and L.R.A.M. degrees. Later with Bruno Giuranna at the Academia Chigiana in Siena Italy. 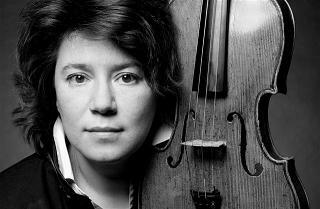 In 1984 she became the principal violist of the Presidential Symphony Orchestra. She has performed on the radio and TV and in concert halls. 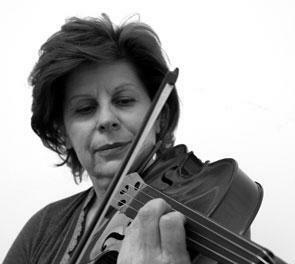 In 2005 she left the orchestra and started to teach the viola as a professor and head of the viola department at the Hacettepe University Ankara State Conservatory. Meanwhile she worked as the chairwoman of the “Fine Arts and Music Department” of the Middle East Technical University. In 2011 after retiring the Ankara State Conservatory, she resumed to work at other institutions. Presently Betil Başeğmezler is continuing to teach at the Middle East Technical University. In March 2013 she was invited to the prestigious “Lionel Tertis International Viola Festival and Competition” and she has been one of the members of the jury. He was born in Ankara Turkey. He started his music education in Ankara Conservatory with Feza Gökmen. After his graduation he continued to study in Leipzig "Hochschule für Musik und Theater – Felix Mendelssohn Bartholdy" with Prof. Tatjana Masurenko in 2001. By the time he also played as a tutti viola in "Halle Opernhaus" (2002-2004) and practiced under the guidance of world famous viola players such as Bruno Guiranna, Stefan Kamasa and Nobuko Imai. He finished his master (2006) and doctorate degrees (2008) with the title "very good". Since 1997 he has played with many orchestras through Europe as a guest or as a soloist. He performed Nejat Basegmezler’s Viola Concerto "Lausanne" as a World premiere with the Presidential Symphony Orchestra Ankara in 2008. 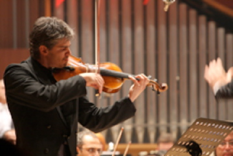 Since 2005, he is the principal violist of Camerata – The Friends of Music orchestra in Athens. He is a member of the Tetraktys quartet which is known as one of the young and successful quartetts in Europe. The quartett had a concert at the Carnegie Hall lastly in June 2014. 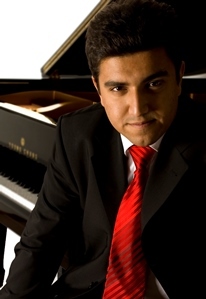 Ali Başeğmezler is also a member of the ERGON Ensemble. He was born in Izmir-Turkey, in 1987. He has been participated several national and international music festivals such as Klasik Keyifler, Bilkent Gitar Günleri, Yaşar University Oda Müziği Günleri, Sesin Yolculuğu, Çanakkale Troia Festivali. Tayfun İlhan started his music education first in the high school “Işılay Saygın Anadolu Güzel Sanatlar Lisesi” then he continued his studies with Prof. Hande Dalkılıç in Bilkent University and graduated with honour degree. Tayfun Ilhan completed his master degree with Assistant Prof. Oya Ünler Bayka in Hacettepe University State Conservatory. Now he is studying on his doctor’s degree. Presently, Tayfun Ilhan is one of the faculty member of the both conservatories of the Ankara University and Hacettepe University. Also he is continuing his career with solo recitals, chamber music and broadcasting concerts. The CD recording with Soprano Angela Ahıskal consisting of the works of Schoenberg, Bernstein, Respighi and Satie will be available in 2016. Born in the Black Forest in 1965 (Scharzwald-Germany). He started violin playing at the age of eight. After the school he studied geology and palaeontology and also visited violin making courses with Juliet Barber in Cambridge. 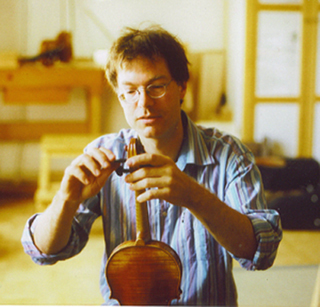 After having finished his studies, Jurgen Manthey’s musical and violin making activities became more serious: He began an apprenticeship with Andreas Hampel in Hamburg. Due to his influence my interest has always been concentrated on making new violins in very classical manner. Jürgen Manthey has established his own workshop in Leipzig since 2004. There he keep in close contact with many internationally renowned musicians, again focussing on making new violins, partly copies or free interpretations of the old Italian masters. - International Jacob-Stainer Competition 2004: Four prices for violin, viola and violoncello.